The Lake Tahoe Shakespeare Festival announces the appointment of Bob Taylor as Executive Director, replacing long time Executive Director Catherine Atack, who has resigned to pursue other interests. As Executive Director, Taylor will work with staff to direct the day-to-day operations of the Lake Tahoe Shakespeare Festival and with Fee and the Board in planning for future seasons. Taylor brings countless experience on both the financial side of running a Festival as well as with fundraising and strategic planning. He has been working with the Great Lakes Theater Festival since 2000, when he joined as Development Manager. He was appointed Director of Administration the following season and Executive Director in 2003. Prior to joining Great Lakes Theater Festival, Taylor worked as Business Manager for Karamu House and other for-profit and not-for-profit organizations. He holds an MBA from the Weatherhead School of Management and an undergraduate degree from Aquinas College in Grand Rapids, Michigan. The Idaho Shakespeare Festival in Boise and the Great Lakes Theatre Festival in Cleveland, Ohio, two independent production companies, have been partners for the past eight years under the direction of Producing Artistic Director Charles Fee. 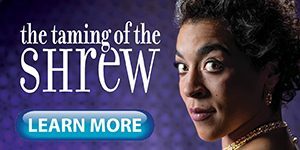 This year, the Lake Tahoe Shakespeare Festival joined the partnership, through which the sharing of plays extends the artistic lives of productions, increases opportunities for artists to work in multiple venues over longer periods of employment, and results in lower production costs for each of the companies. The Lake Tahoe Shakespeare Festival’s 2010 season, which runs from July 9th to August 22nd, will offer the hilariously entertaining The Complete Works of William Shakespeare (Abridged), a compilation of 37 of Shakespeare’s plays performed by three actors in just two hours. 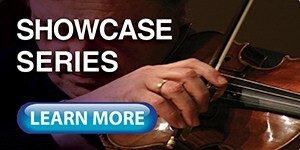 The Festival’s Sand Harbor Music Series showcases 10 groups presenting live music ranging from funk to classical on Monday and Friday evenings throughout the season. 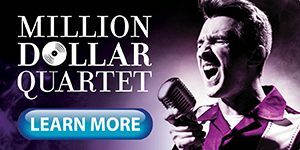 To purchase tickets or for more information on the Lake Tahoe Shakespeare Festival, including a complete calendar of performances and events, please visit www.LakeTahoeShakespeare.com or call 800.74.SHOWS (800.747.4697). The Lake Tahoe Shakespeare Festival is a 501(c)(3) non-profit organization established for the cultural benefit and enjoyment of all residents and visitors to Lake Tahoe and Reno. Annually drawing more than 30,000 attendees from across the country to the specially built Warren Edward Trepp Stage along the north shore of Lake Tahoe, the Festival is an advocate for producing the finest cultural events in the region. The Festival’s community outreach includes an annual educational program, InterACT, designed to educate future generations on the importance of the arts, theater and music and the D.G. 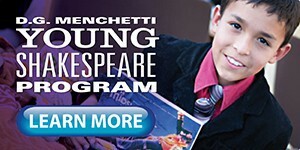 Menchetti Young Shakespeare Program, a free series of performances produced specifically for the younger audience presented free of charge during the summer throughout Lake Tahoe and Northern Nevada.